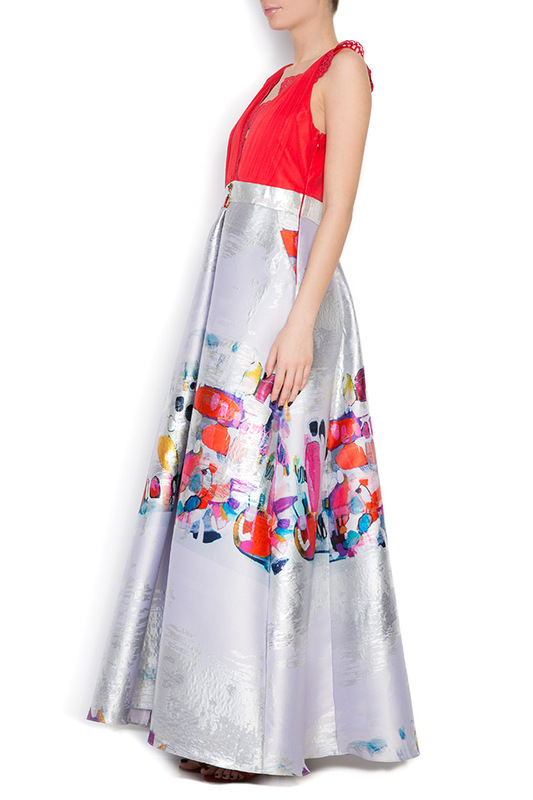 Elena Perseil's 'Picasso' gown is made from elegant printed silk taffeta that's crisp and lustrous. 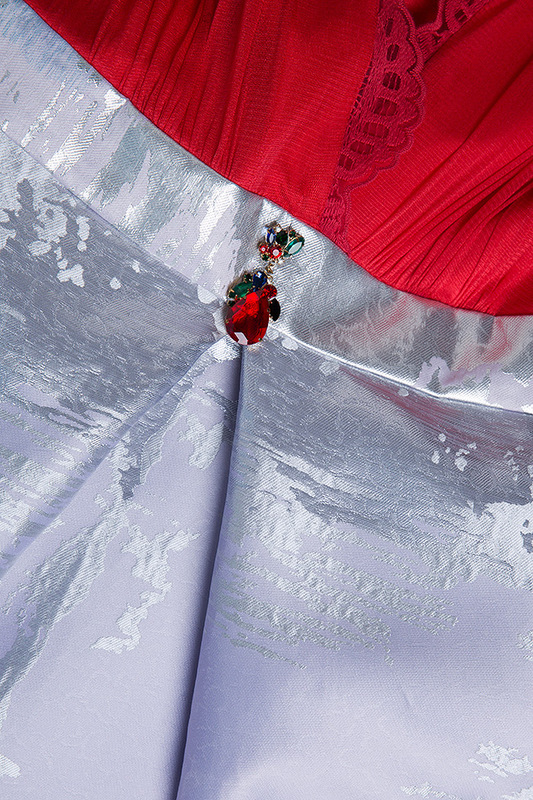 This piece has an embellished red lace top and a billowing tulip skirt. Wear yours with heels to balance the volume.